At about 7:30 a.m. Thursday, the Ponca City Police Department Communications Center received two 911 calls from residents living in the 400 block of South Pine Street. The first caller reported seeing a woman screaming about someone being shot. 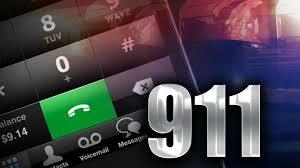 The caller described the woman, what she was wearing and said that she was walking on Pine Street towards Grand Avenue. The second caller said that he lived in the 400 block of South Pine Street and was backing out of his driveway when he was approached by a woman saying she was at a house across the street and she’d witnessed a relative of hers being shot and armed gunmen had fled. Ponca City Police Officers, EMS, Kay County Deputies, and the Oklahoma Highway Patrol responded to the area and found no evidence of the crime that was described. The adult female was brought to the Police Department and evaluated by mental health professionals. Police spent several hours attempting to locate the relative to check his welfare. He was located through his girlfriend.